Office hours: No classes;office hours by appointment. My current scholarship involves the application of ground penetrating radar and total field magnetometry for archaeological targets. Much of that work involves applied projects directed at answering specific archaeological questions using radar, magnetometry, and/or electrical resistivity. My contributions over the years also include commercial gravity/magnetic programming and software, academic publications, and numerous private and public project reports. I maintain a strong interest and expertise in magnetics and gravity applied to crustal tectonics, orogenic events, and exploration in the energy and minerals industry. MacDonald, D. H., J. Gish, and S.D. Sheriff, in press 2013, Fishing Bridge Point (48YE381): A Stratified Prehistoric Site at Yellowstone Lake, Wyoming, Plains Anthropologist v. 58. S.D. Sheriff, 2013, Total Field Magnetic Exploration for Prehistoric Archaeological Sites along Yellowstone Lake’s Northwest Shore, to be published in Yellowstone Archaeology, Volume II: Southern Yellowstone; Edited by D. H. MacDonald and E. S. Hale; The University of Montana Department of Anthropology Contributions to Archaeology, Volume 13. McIntyre, J. and S.D. Sheriff, 2013, Yellowstone Lake: Dynamic Shorelines, GIS, and Predicting Archaeological Sites, to be published in Yellowstone Archaeology, Volume II: Southern Yellowstone; Edited by D. H. MacDonald and E. S. Hale; The University of Montana Department of Anthropology Contributions to Archaeology, Volume 13. MacDonald, D., L.Smith, M.Livers, S.Sheriff, J. Moschelle, M.Pable, and J.Gish, 2012, Archaeology of the Little Trail Creek Site (24PA1081), Gardiner, Montana. Montana Archaeological Society, Abstracts and program, April 2012. S.D. Sheriff, 2011, Archaeological Geophysics, Forensic Applications: Buried Weapons, Illicit Caches, and Shallow Graves, Invited Presentation: FBI National Training Academy, Bozeman Montana, April 26, 2011. S.D. Sheriff, 2011, Total Field Magnetic Experiments at a Historic Town Site, Yellowstone National Park, USA: Aeromagnetic Techniques and Archaeological Targets, in Yellowstone Archaeology, v. 1 Northern Yellowstone, E. Hale and D. MacDonald editors, UM Department of Anthropolgy Contributions to Archaeology, v. 13, 143 p.
R.C. O’Boyle, S. D. Sheriff, A.M. Prentiss, and V.M.W. O’Boyle, 2011, At the Rim: magnetometry, archaeology, and a site in danger at Kevin Rim. 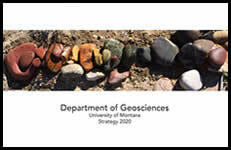 Montana Archaeological Society, Abstracts and program, April 2011. S.D. Sheriff, July 2010, In search of a Historic Grave: GPR Investigation near the Yellowstone Lake Store. 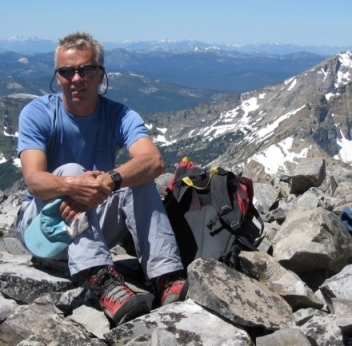 Report submitted to Yellowstone National Park in conjunction with ongoing archaeological field work by Dr. D. MacDonald director Montana Yellowstone Archaeology Project. Spritzer, J.M., S.D. Sheriff, and N.W. Hinman, 2008, Interpreting Faults and Fractures in Hydrothermal Basins With High-Resolution Aeromagnetic Data in Yellowstone National Park. EOS Transactions of the American Geophysical Union, 89(53), Fall Meeting Supplement, Abstract # GP43B-0817. Archaeological geophysics and magnetic and gravity exploration in the energy and minerals arenas. Research and academics has landed me in the Antarctic, Boliva, Peru, Papua New Guinea, Ireland, the Phillipines, and the United Arab Emirates. Climbing trips adds Australia, New Zealand, the Canadian Arctic, England, Scotland, France, Switzerland, and Austria.